Earlier this month, Matt and I spent a long weekend eating our way around New York City. For dinner one night we went to the fabulous Fatty Cue. We ate a lot of great protein that night, but my hands down favorite had to be the ribs flavored with long pepper, fish sauce and palm sugar. We were surprised at how much we liked the fish sauce with the pork. Those ribs were are starting point for the ones Matt made this weekend. Originally, we had planned on doing an exact copy, but you know, Matt can't resist heading off in his own direction. 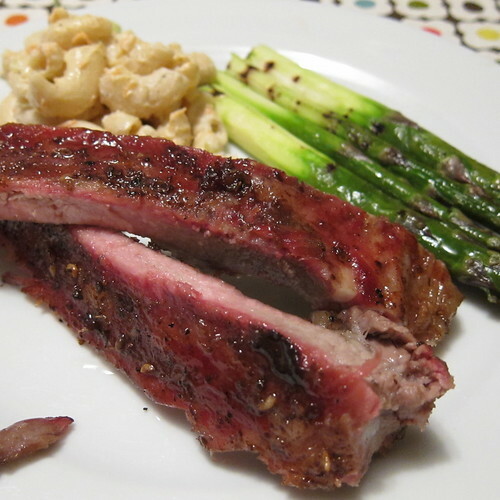 Our ribs were a perfect combination of four "S"s, sticky, sweet, salty and smokey. The Szechuan pepper adds a slight citrus note. They are not fishy tasting at all. No one at dinner could stop raving about them. There were about four ribs left after dinner. Matt cut the meat from the bones and made a wonderful pork fried rice. Mix the rub together. Rub the ribs with it on both sides. Place on a smoker at about 225 F. Let cook for about 5 - 8 hours. Ok, I know that is a big difference. They will be cooked through earlier than this, but you want the fat to melt and the meat to get super tender. So, you are cooking them until they are as tender as you want. 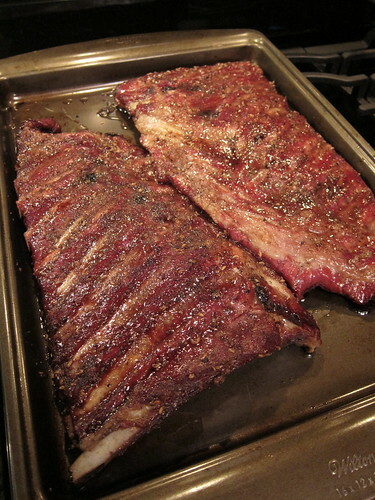 While the ribs are smoking, make the glaze. Put the sugar, water, tomato paste and cayenne in a small saucepan over medium heat. Stir until the sugar melts. Add the fish sauce. Let simmer for 2 - 3 minutes, you are not trying to reduce or thicken it much. Can you do this without a smoker? Yes, you can especially on a charcoal grill. Keep the temperature low and the ribs over indirect heat. 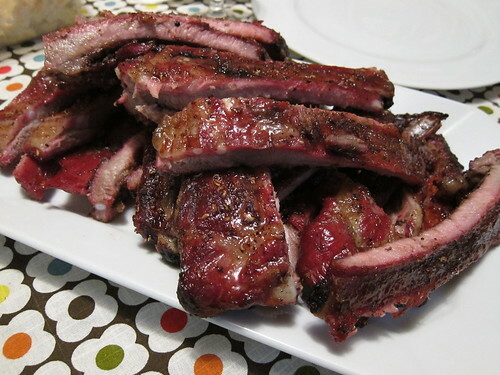 On a gas grill it is a little harder to keep the low heat and get the tenderest ribs. Add a Smoker Box to the grill to get the smokey flavor. These sound wonderful! I really love fish sauce with pork. I haven't had ribs in a while... I think it's time to look for them down here. i'm surprised there were any leftovers! Yum! I'd say going off in your own direction was definitely a good thing. These sound great! Billy will love these, I'm sure! Well, me, too, obviously. Definitely hanging on to this recipe--thanks! Don't you let the ribs set with the rub overnight? TTTrojan - We didn't, we put the rub on right before cooking. I'm sure you could if you wanted to though.